Creeping bentgrass is a cool-season specialty grass primarily used for golf course putting greens, lawn bowling greens, and lawn tennis facilities. The skill and expense needed to maintain this species usually eliminates it as a possible home lawn turf. It is adapted to cool, humid regions and prefers sunny areas but will tolerate some shade. It tolerates low temperatures but will discolor early in the fall. A very fine-textured bright green grass. The leaves are flat, narrow, and rolled in the bud. 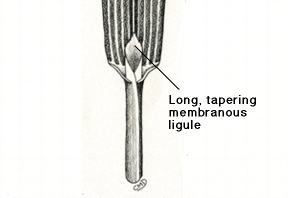 There are no auricles and a long, tapered ligule is present. Creeping bentgrass is a low-growing grass with a shallow root system. 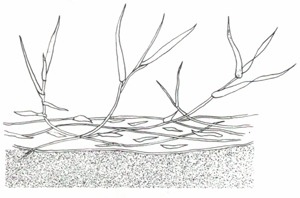 It spreads by stolons to form a mat or thatch layer above the soil line. High maintenance. 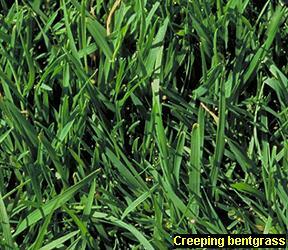 Creeping bentgrass requires frequent watering, mowing, aerating, and dethatching, and high levels of fertilizer.